7 Things You Need to Know About CTE – Kathy J. Marshack, Ph.D. The brain and spinal cord are made up of billions of cells. Specific brain cells called neurons transmit signals to each other. Those signals are sent via axons, held together by microtubules. A protein called tau adds stability to the microtubules and strengthens the axons. Brain trauma causes tau proteins to detach from the microtubule, destabilizing the structure. The loose tau clump together and form clumps or tangles that spread throughout the brain, brain stem and spinal cord, killing brain cells as it spreads. There are four stages in the development of CTE. CTE starts with headaches and loss of concentration. In time, CTE damage often causes depression, mood swings, explosive outbursts, memory loss, executive dysfunction, language difficulties, impulsivity, aggression, paranoia, and dementia. People with CTE become violent, suicidal, and even homicidal. Sometimes, their personality shifts with little notice. 1. People with CTE are EmD-2 on my Empathy Scale. That means their empathy comes and goes, so you never know whether or not they’re connecting with you. 2. EmD-2s can also be violent. It’s not just their empathy that comes and goes, but other emotional regulatory functions as well. 3. 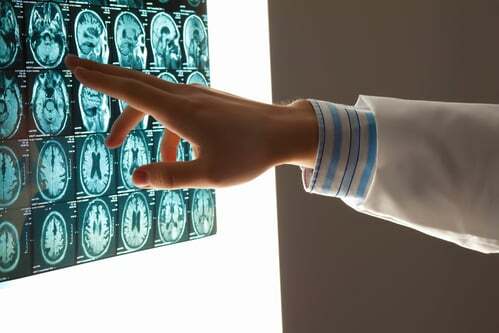 Mild concussions and head injuries associated with contact sports, such as football, hockey, and soccer can lead to TBI and, eventually, CTE, which is incurable and can be fatal. 4. Helmets cannot protect the soft, Jell-O-like brain from being damaged inside the skull when it is bashed in an auto accident, a football tackle, or a frontal collision with a goal post. 5. Symptoms may point to your loved one suffering from mild TBI or worse, but you no longer need to remain in the dark about treatment. Dr. David Amen has pioneered the use of brain scans and holistic treatment that looks very promising. 6. The tragedy of having a family member with EmD-2 is that you may never get them back. Without proper treatment, people with these brain injuries can become so unreasonable and belligerent that you have to keep your distance to stay safe. 7. Codependency results when you keep trying to protect your EmD-2 loved one. Making excuses for their conduct will not help. They need medical treatment. CTE affects the athlete AND their families. When my daughter, Phoebe, was five, we enrolled her in soccer. She loved it! Back then, I didn’t know how head trauma could cause severe brain damage, yet I told her —and her coaches—that she wasn’t allowed to do “headers.” Her coaches just laughed at me, then gave me the usual lecture about parents letting the coaches coach. One coach even said, “She’s not working hard enough unless she gets her bells rung once in a while!” as if head injuries were a badge of honor. Next PostNext Do You Live in the ADHD or ASD Time Zone?